Unfortunately my experience was very disappointing and the customer service I received I hope does not reflect your company in general. I had purchased some children's boots six days earlier which had only been worn by my daughter for five days, the front of the boots were unacceptably worn for the amount of use they had received. 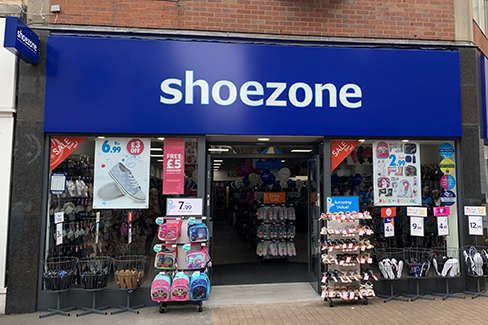 When I tried to return them the shop assistant stated that she thought the wear was acceptable and then said "we only sell cheap shoes what do you expect!". This comment was overhead by other customers in the shop who also expressed their surprise and agreed with me that the condition of the footwear was not "acceptable wear for five days" I asked to speak to the manager but was told that they would not be in the store until Monday and the assistant was going to be off for a week so wouldn't be able to contact them but would leave a note. I found this unacceptable and supported by other customers insisted on a refund in line with my statutory rights. Eventually the assistant agreed and refunded my purchase. I accept that on occasions products can have defects however customer service should be of a high standard in these incidences. Unfortunately this was not the case on Saturday.